Another date on the calendar which darker beer aficionados dare not miss: the annual release of Founders KBS Bourbon Barrel Aged Stout. The Grand Rapids-based Founders performs a plethora of experiments with styles and flavors throughout the year, but this is the one for which the brewery is arguably best known. Alright, then. Let’s get into it. Dark coffee and chocolate hits immediately on the nose, with some spice and vanilla coming as secondary notes. Letting it sit in a glass for a bit allows for the spice and oak to gradually show its hand. More roasted coffee on the lightly carbonated palate, with heavy dark chocolate, brown sugar, and vanilla masking the high abv. Getting deeper into the glass, there’s notes of black pepper and a bigger bourbon influence towards the end, where a wonderfully lingering finish offers traces of sweet cream, brown sugar, and oak to round things off nicely. In every way, this year’s offering is exactly as advertised. 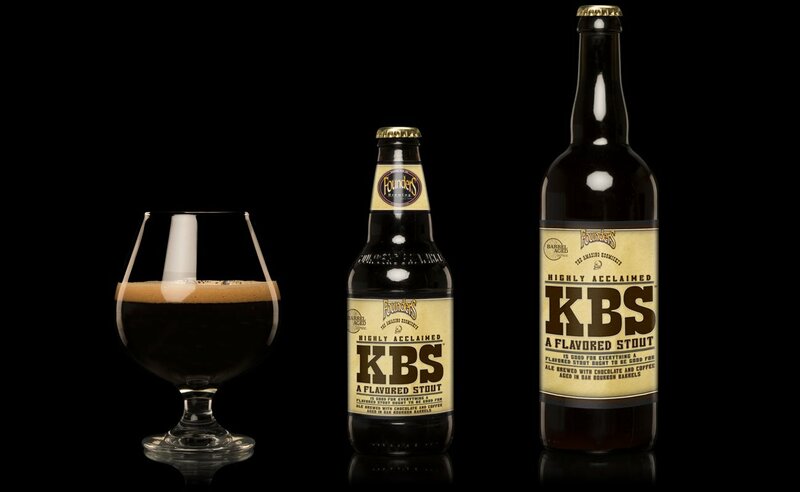 Founders Barrel Aged series features some of the most complex beers in its entire portfolio, and it is quite easy to see why the demand for KBS runs extremely high. With a comfortable warmth and some intense, darker notes, it is almost better suited for a late fall release. However, it might just be the best beer possible to say goodbye to the bleakness of winter and celebrate spring’s imminent arrival.